After "Ikebana Today" in which mainly individual works by teachers were shown, "Contemporary Ikebana" is a surprising book that is the result of team work worldwide. Teachers, together with colleagues and students, position their flower arrangements in a carefully selected setting. The origins of Ikebana lie in a Buddhist expression of respect and appreciation for the harmony and beauty of nature. This religious statement has gradually turned into an aesthetic expression that was first used for the embellishment of tokonoma (traditional Japanese style alcove reserved for the display of art) and later as a decoration of the interior in general.Today, we see Ikebana in living rooms, shop windows, company and hotel lobbies and even in the countryside. Many landscape artists have had Ikebana training. This book not only shows larger works, land art and installations, but also smaller refined, beautifully positioned arrangements. 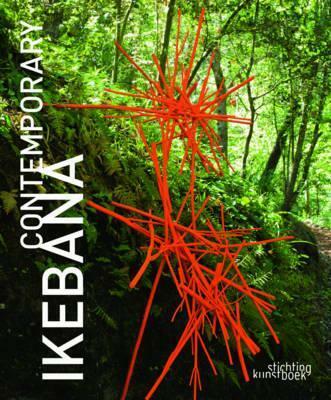 This magnificent publication reveals the most innovative, contemporary manifestations of Ikebana.